It’s fun time when we get in touch with more friends , more people when we have more holidays in this summer vacation. 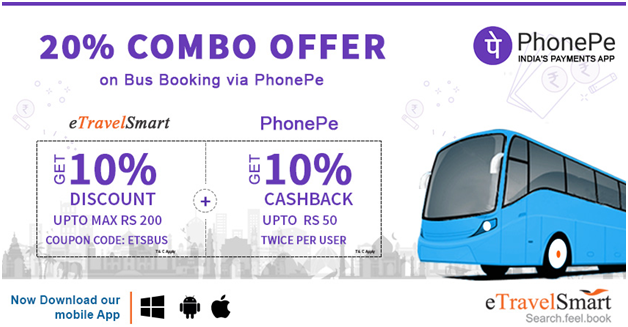 Plan to travel anywhere in India and reach your besties to have best memories using best discounts in bus booking on eTravelsmart . Get UPTO 20% MAX Rs.250 Discount . 3. Get direct discount amount. 4. Enjoy booking and happy travelling.